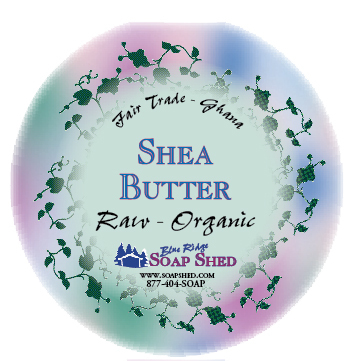 The Shea Butter we sell online and in our retail shop in North Carolina is the same shea butter we use in our soaps. It is organic and unrefined, not chemically processed in any way. Our Shea Butter comes from nuts harvested from the Karite trees in Ghana, and therefore will have a natural, nutty scent. Some customers have described it as a very light almond or 'peanut butter' scent. There is no fragrance added to this natural product, nor is this shea butter chemically or artificially deodorized. But because it hasn't been chemically altered or 'deodorized', this shea butter will have a natural nutty odor. Our Shea Butter is harvested in various regions of Ghana by the same Womens' Cooperative we've supported with our purchases since 1998. Because it may be collected and processed at various times during the harvest year, there may be various shades of cream or ivory beige color. But it is always the premium quality.